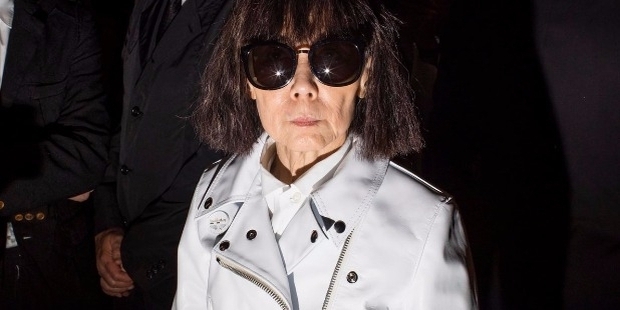 In a world that largely operates on rigid conformity and lack of imagination, there’s no better time like the present to value the presence of people like Rei Kawakubo (pictured below), who is always at the forefront of rebelling against the status quo. 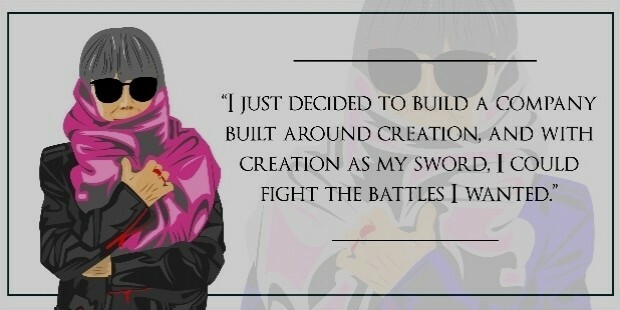 As the founder and creative director of Japanese fashion label Comme des Garçons, Kawakubo is cut from a special cloth where she manages to fuse her creative inclinations with her business acumen. 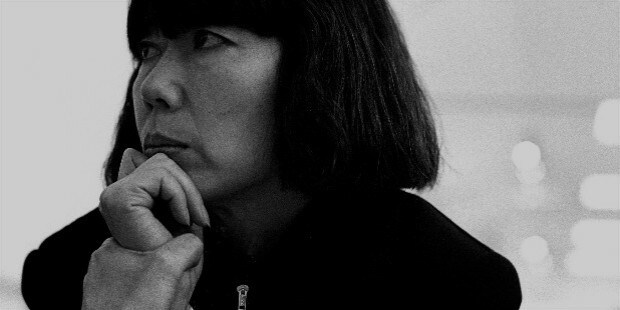 Despite the accolades that Kawakubo has received over the years from the press at large, she has been—for the most part—very media-averse. But during the rare moments when she does deign to speak to journalists, Kawakubo is revealed to be an incredible fountain of wisdom. 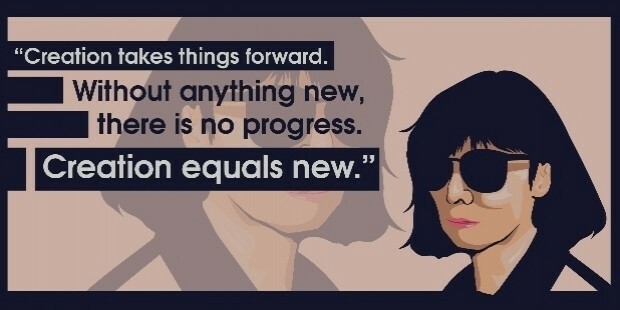 Though she may be elusive and sphinxlike with her persona, Kawakubo has still managed to dispense a wealth of inspirational maxims that anyone can aspire to. That being said, SuccessStory is reintroducing its series of quotes from successful and well-known individuals with a twist! We will be featuring quotes from a selected individual and then breaking them down by analyzing the quotes and then helping you figure out how to apply those quotes to your personal and professional life. We truly hope that you will come to appreciate our SuccessStory Quotes series and use them as a source of inspiration for when you need to revitalize your career. What We Understand: The familiar saying which states that beauty is in the eye of the beholder could not be more apt to describe the maxim that Kawakubo has spoken in regards to what she considers to be beautiful in this world. As a designer who marches to the beat of her own avant-garde drum, she definitely sees the world differently through her eyes, and that’s what makes her so unique among her peers in the industry. 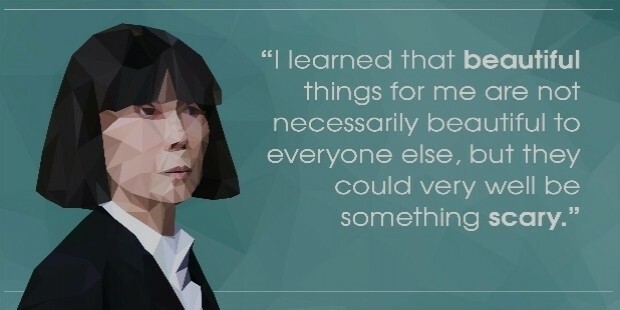 Quote Application: Take a page out of Kawakubo’s playbook and try to see the beauty in everything and not focus on the superficial aspects of a particular object. When you are able to shed the superficiality from your perception, you’ll be able to better appreciate all of the things that could potentially give depth and value to your work. And if you’re able to see what other people can’t, then you’ll definitely have a useful advantage. What We Understand: Rare is the fashion designer—or any individual working in a highly creative field—who is able to perfectly balance their artistic philosophies with a considerable eye for commerce. Kawakubo is an example of that esoteric breed of creatives who believes that art and commerce can really go hand in hand, and that such two disparate elements are not only able to coexist in the same realm, but can contribute to something positive. Quote Application: A lot of business executives are often so concerned with focusing on the bottom line that they don’t see how a little creativity could go a long way into helping their brand be more appealing to consumers. Channel some of Kawakubo’s own thinking into your business strategies by applying some imagination and unorthodox approaches to make people sit up and take notice of your brand, and thereby giving you that competitive edge. What We Understand: Making decisions can be very hard to make, especially if a choice involves something very important that could have significant consequences to your personal or professional life. But the thing with Kawakubo is that she considers herself to be a realist, and thus, she tends to be pragmatic with any and all decisions that she does in relation to her fashion empire. She makes sure that she doesn’t feel any regrets with her choices. Quote Application: There’s nothing worse than having to make a decision only to regret it once you’ve experienced the consequences of your choice. 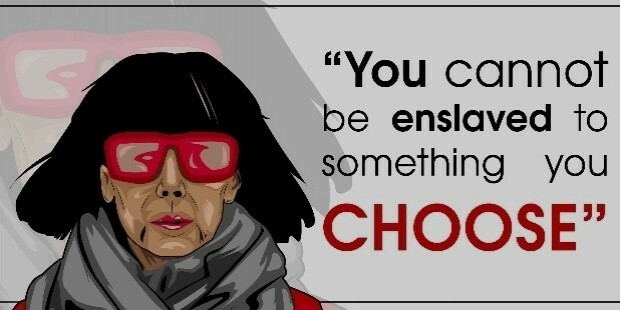 If you want to follow in the successful footsteps of Kawakubo, then you need to embody a decisive attitude paired with a sense of foresight. This combination of traits allow you to be more cerebral with your approach to business and less inclined to feel anxious emotions whenever something doesn’t go your way. If you’re able to do this, then you’ll feel less burdened with indecision. What We Understand: The pursuit of the new is the driving force of any business. If it weren’t for the brilliant and innovative minds of this world that are always coming up with big and bold ideas, we wouldn’t be progressing as a society. 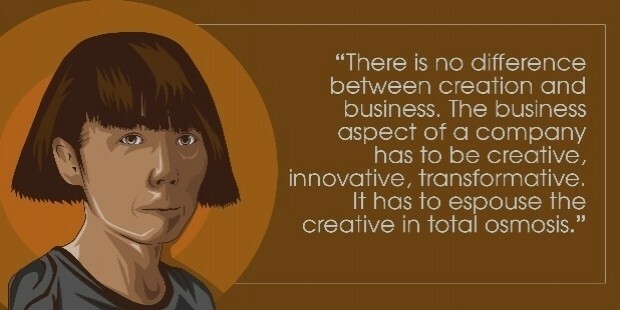 Kawakubo belongs to this unique tribe of vanguard thinkers in that she firmly believes that progress stems from making something with your own two hands and conceived in the deep recesses of your imagination. Quote Application: When you’re running a business, it can be rather challenging to innovate in order to stay ahead of your competitors. So if you need a little bit of inspiration to give you a push in the right direction, look to the wisdom of Kawakubo for some much-needed insight. You can’t expect your company to progress unless you put in the effort to create physical prototypes which are representations of the ideas swirling around in your mind. What We Understand: Everyone wants to be the boss of their own company and call themselves as entrepreneurs, yet many people fail to understand that starting and then running a business always begins with a strong foundation based on a creative mindset. From the very beginning, Kawakubo has understood that she could only achieve success if she applied her creative inclinations into the business side of her company, thus allowing her to become a well-rounded entrepreneur. Quote Application: Before you even decide to build your own company, you must have a solid base of ideas where your business will primarily be known for. Furthermore, the key to business longevity lies in your ability to create new things even after you’ve launched your brand successfully. The road to professional success is paved with plenty of challenges and obstacles, but you’ll be able to fight and conquer them for as long as you won’t stop creating new and exciting things. What We Understand: The world we live in today makes it harder and harder for many businesses to impress and entice consumers to spend their money on various products and services. This is because most businesses struggle with infusing emotion and imagination into their branding, which makes it difficult for businesses to attract the interest of people. But the same cannot be said for Kawakubo, who definitely knows more than a thing or two about sparking the interest of her clients that they keep on coming back for more of her work. Quote Application: As an entrepreneur, you have to pay close attention to how you present your brand to the world because it needs to evoke a strong emotional response from consumers. You should come up with imaginative and creative marketing strategies that will spark curiosity within people. And when people are curious about your business, they’ll be compelled to explore more about your brand and what you can fully offer to them. What We Understand: No two entrepreneurs are the same when it comes to expressing the ideals of their businesses. 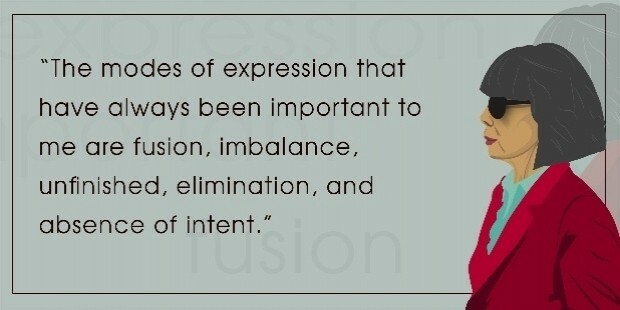 Most businesses operate with the belief that they are unique, and thus, their core philosophies reflect their key elements of expression. In the case of Kawakubo and the company she has founded, she firmly extols five essential modes of expression that she believes best represent the fashion and retail universe that she has proudly birthed. Quote Application: It’s important that your business should have a strong message behind the branding because it will give people the opportunity to understand what your company is all about. And it’s not enough to have a really effective message for your brand; you must also embody the message that you’ve preached since you’re considered as the public face of the company. Consumers are more likely to become patrons of your business if you can walk the talk. How Best to Deal with Criticism?